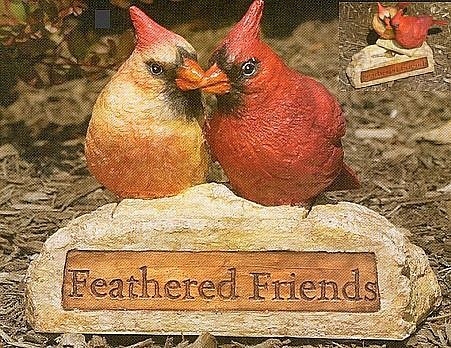 Two red cardinals obviously in absolute ecstacy with the other, are seen perched atop a bird key safe. On the face of the key safe bears the words "Feathered Friends". Resin with color finish. A magnet holds the birds in place.